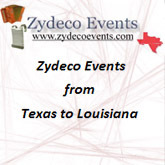 Donate to The Zydeco Historical and Preservation Society! 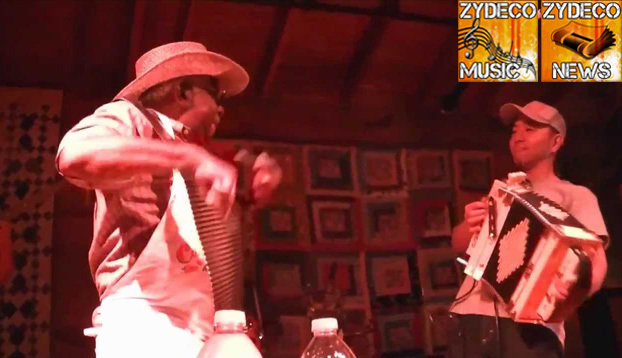 Yoshitake Nakabayashi, lead accordionist for the Zydeco Kicks performs with Corey Ledet. I went to an annual Mardi Gras party — I know, pick a party, any party — Saturday afternoon in Breaux Bridge. Talk about fun. Geno Delafose & French Rockin’ Boogie played and people were dancing and generally passing a great time. Someone commented that all of Breaux Bridge was in the house. A friend noted that she was the only native in sight, an honest, judgement-free observation, and I concurred. As Yoshi (as he’s called) documented the action, I was introduced to Akira Morishita, an affable translator as there ever was, and we talked about Yoshi. Yoshi’s band is called Zydeco Kicks, and like a few others in his entourage, they’re from Tokyo. Akira, who lives in Missouri, lamented that his locale is polar opposite of Acadiana. We decided to meet later at Joie de Vivre where Yoshi would sit in with Corey Ledet, who had Tony Delafose on bass and Jalin Thomas on drums. Now, Corey, I’ve got to tell you, is one generous soul. Not only would Yoshi sit in, but so did Donna Angelle, Kirk Jones and Grant Dermody (who with Dirk Powell, killed it Lundi Gras night at the Whirlybird). Sweet dreams are made of all of this. Yoshitake Nakabayashi, lead accordionist for the Zydeco Kicks performing at Vermilionville in Lafayette, Louisiana. Meanwhile, back at Joie, as a waltz came to an end, Hiromi Kimuri told me she played Cajun music in Japan. Man, her excitement when I pointed out (and introduced her to) one of the Magnolia Sisters, Lisa Trahan, was delightful, if not priceless. And then I learned her husband, Kaz Sakaguchi, sings swamp pop. What?! Mind blown that the other local homegrown trinity — Cajun, zydeco, swamp pop — is well represented in Japan. Yoshi first came to Louisiana in 1996. As a keyboard player doing blues and soul, he was already a fan of The Meters and Professor Longhair. 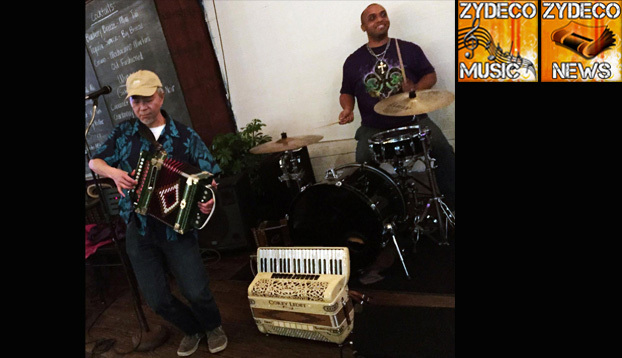 “First time I went to New Orleans, I accidentally saw zydeco live,” Yoshi said, as he stumbled in to Rockin’ Dopsie & the Zydeco Twisters. And then he picked up an accordion, studied videos and caught zydeco live during his five visits since then. In time, Zydeco Kicks would release “Crawfish Got Soul!” in 2014. “My favorite zydeco music is Clifton Chenier, Boozoo Chavis, Beau Jocque and John Delafose,” said Yoshi. Can’t go wrong with that. Yoshi said Japan is home to two zydeco bands, two Cajun bands and a TexMex/conjunto band. Over the next couple of days, I caught up with Kaz and Hiromi via social media and learned that Kaz first heard swamp pop the way a lot of people did. Kaz is a R&B and blues fan and performer and got into Stax, Motown and New Orleans R&B. Kaz is pretty good at it, too, as he performed at the 14th Annual Swamp Pop Reunion in Ville Platte on Lundi Gras. 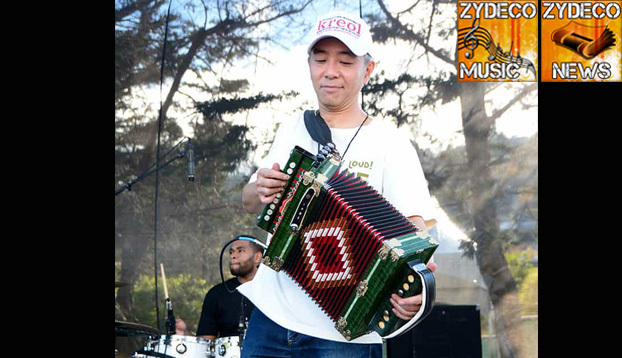 Yoshitake Nakabayashi is lead accordionist for the Zydeco Kicks. Hiromi sings “a handful” of Cajun and Creole songs and plays the T-fer. She first heard the music in Japan from the band "The Hee Haw Woo Boys,” that she later joined. It’s pretty cool that the musical essence of this culture caught the ear, eye and heart of musicians a world away. After the gig Saturday evening, I asked Corey about Yoshi and his zydeco cred. Corey first saw Yoshi six years ago and had him sit in. There is something to be said for “old family recipes.” New Orleans native Bill Washington used one to propel him to entrepreneurial success. “New Orleans Bill” a former Bourbon street barker and Southern university grad has supplied these supermarkets and delis with millions of pounds of his delectable Creole Potato Salad which includes a blend of his special spices and Creole flavors that have just the right amount of kick to remind you that it is New Orleans cooking! With over 30 years in the business, Gabriel Lewis Photography is certain they can meet or exceed your expectations! Super 6 Fundamental Basketball Workout. The Zydeco Workout "Uniting The Zydeco Nation"
Make sure to check out the ZydecoWorkout!! !